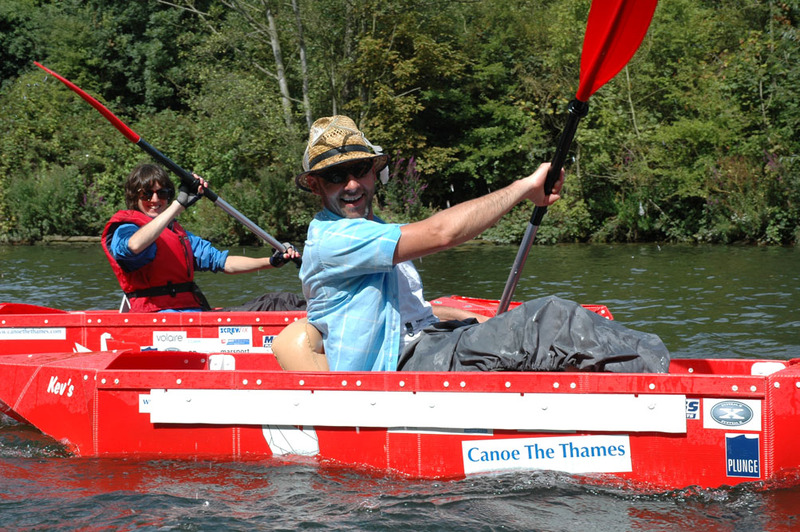 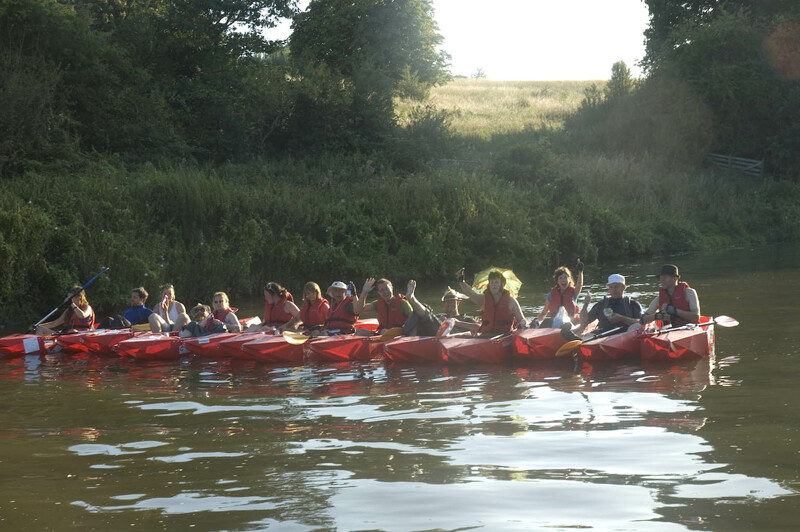 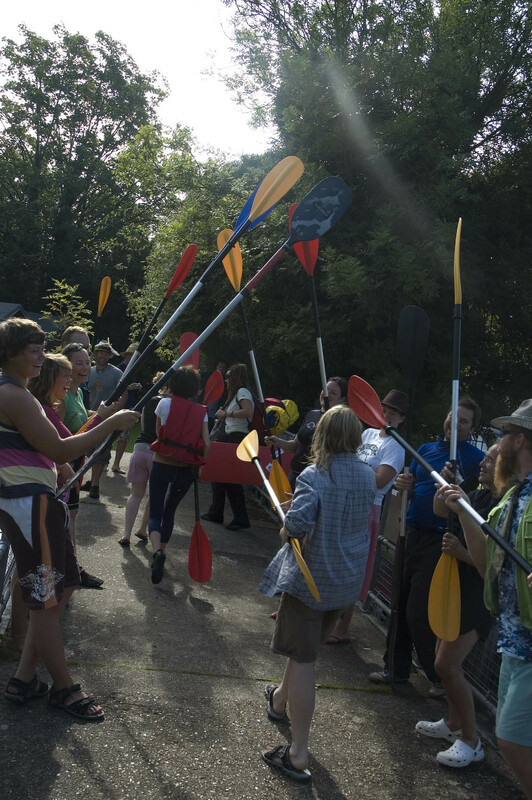 Canoe the Thames is an event we dreamt up at Plunge. 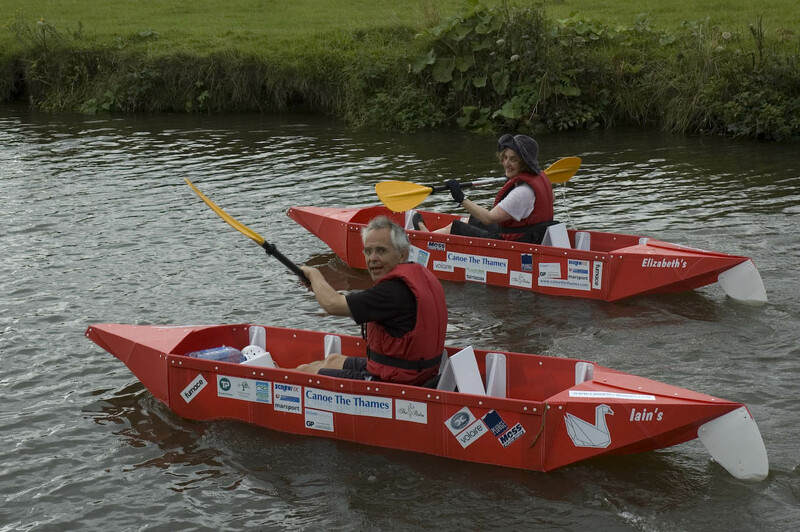 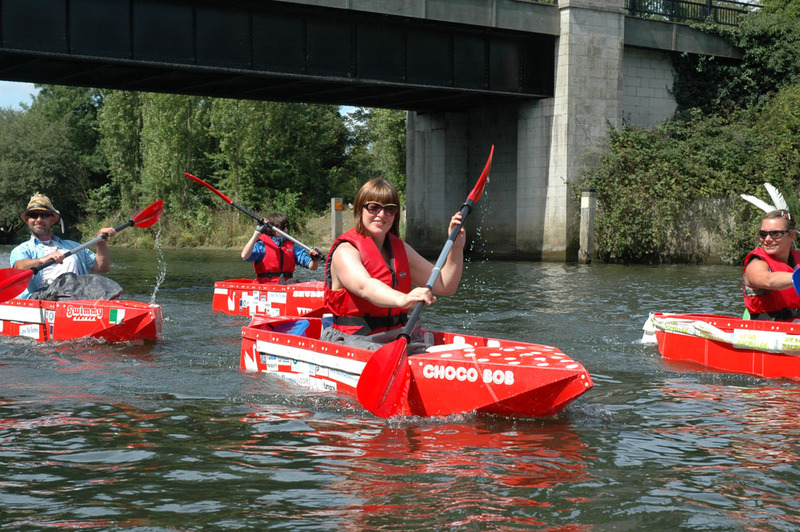 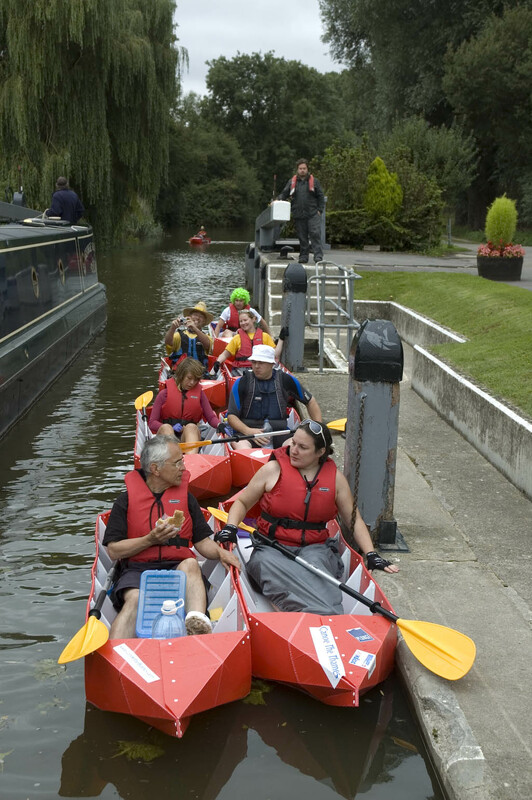 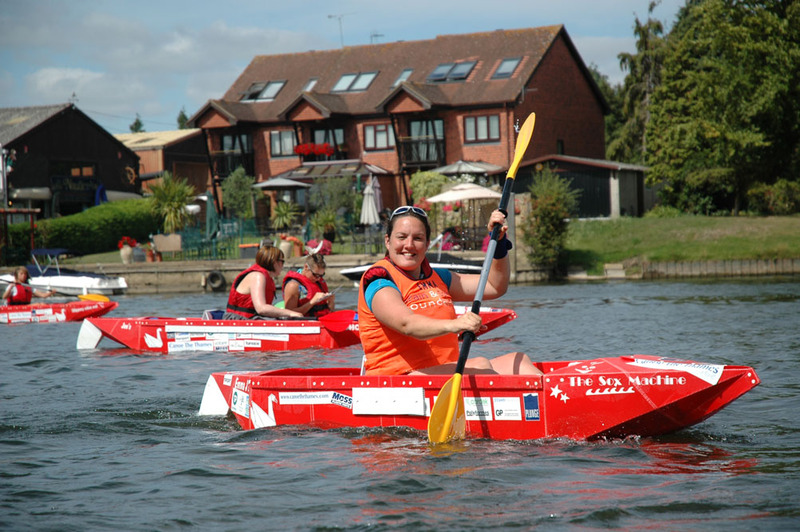 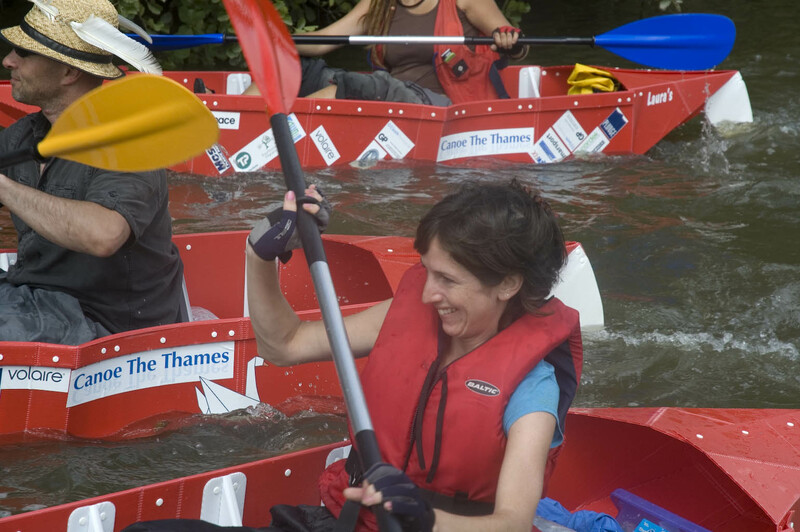 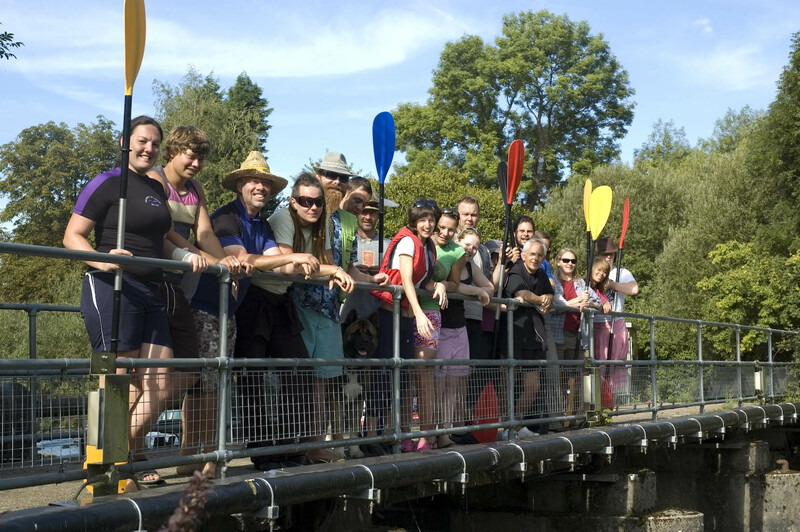 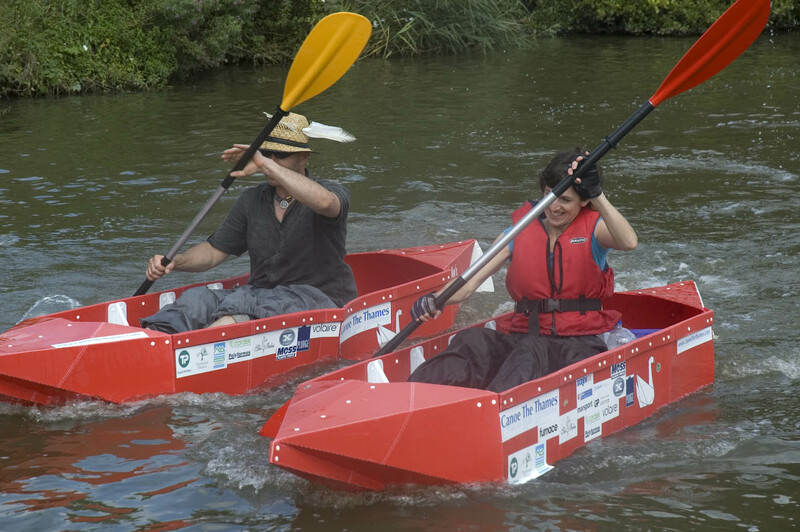 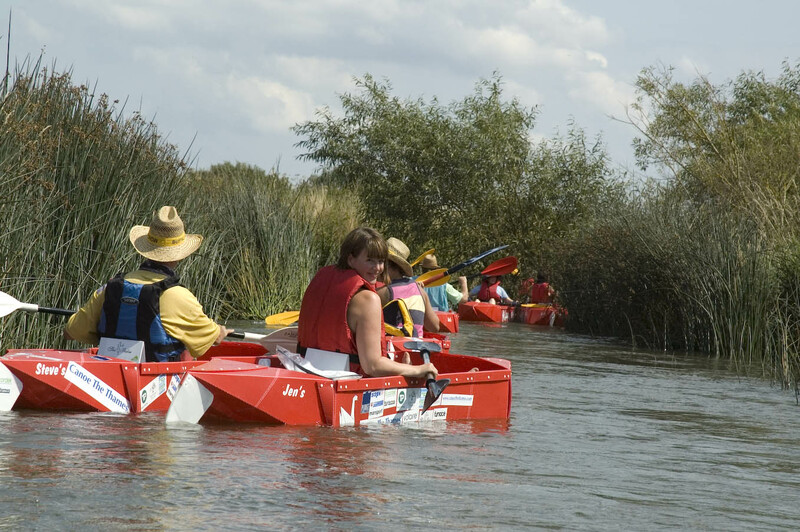 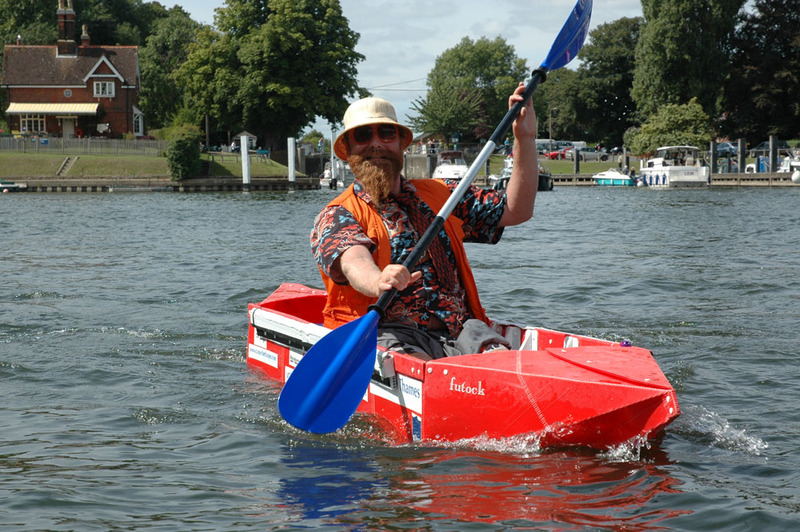 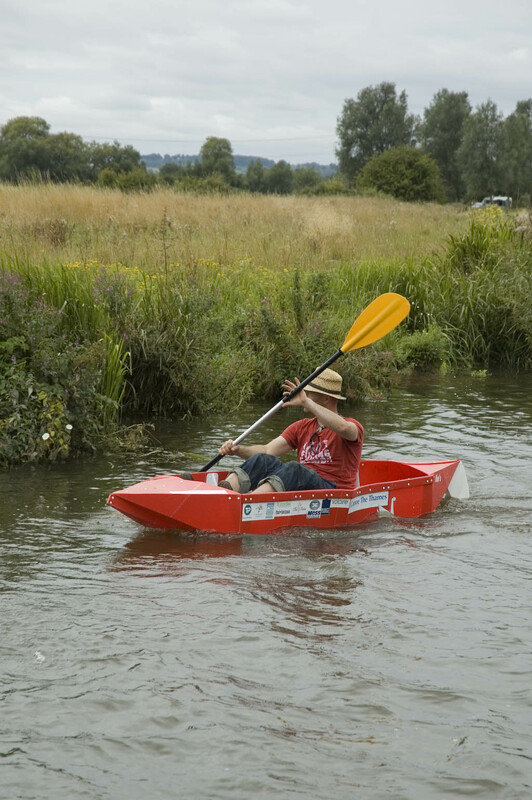 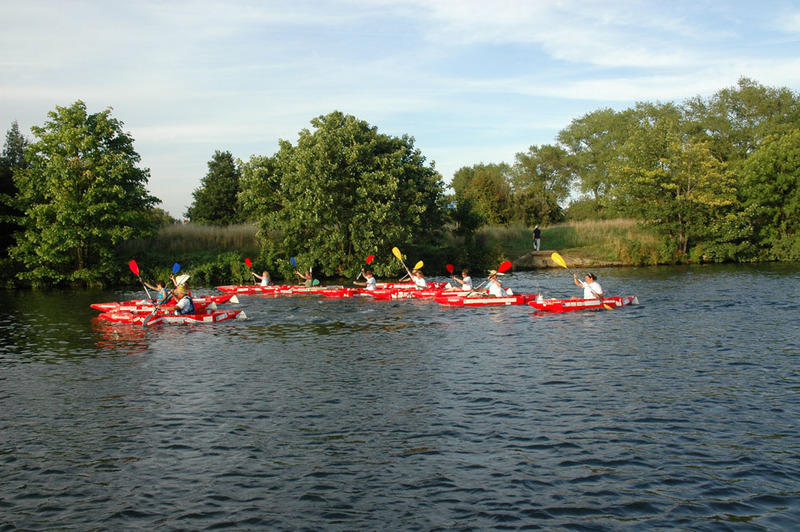 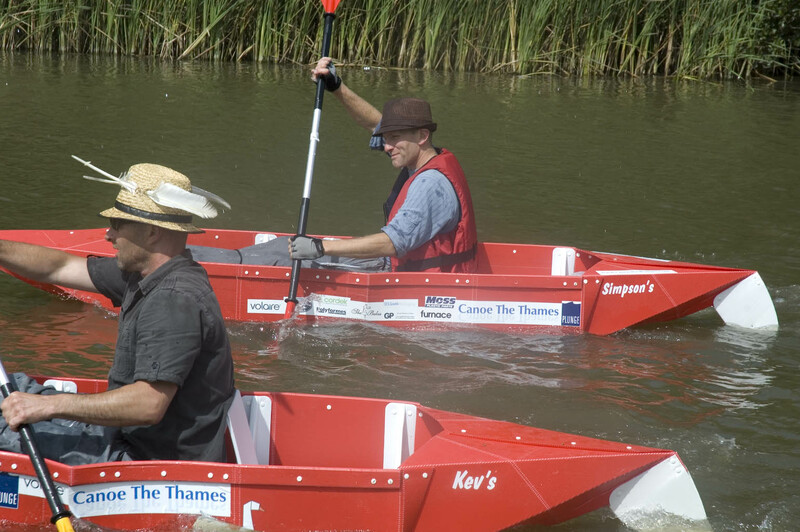 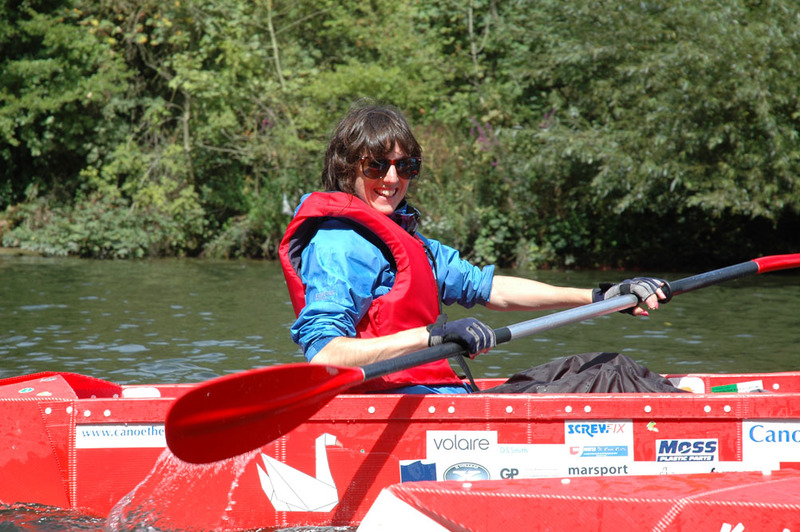 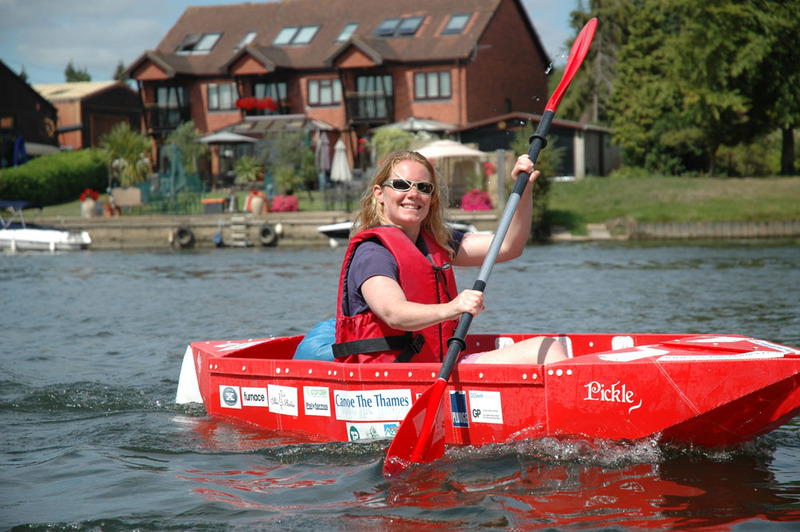 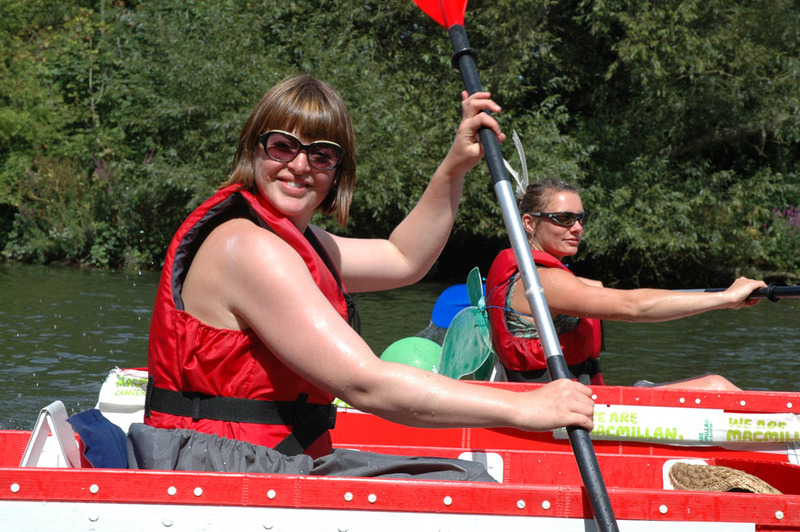 It’s a chance to raise money for charity by paddling the entire length of the navigable non-tidal Thames in Origami Canoes. 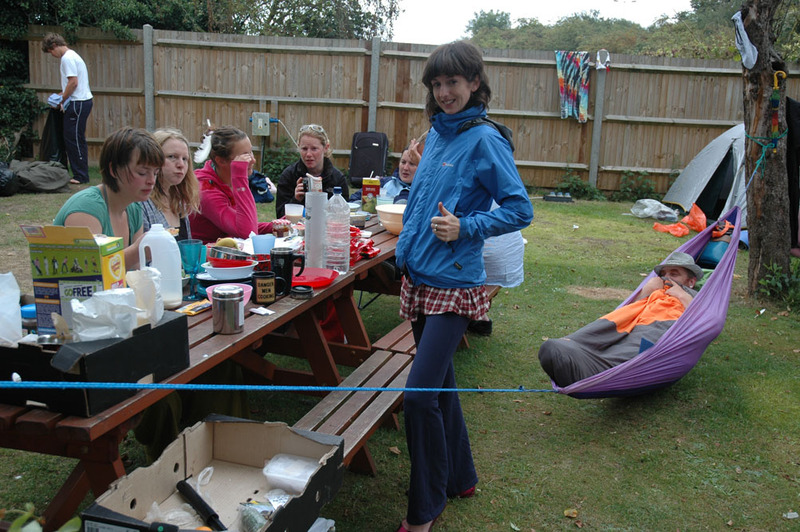 2009 was our first year! 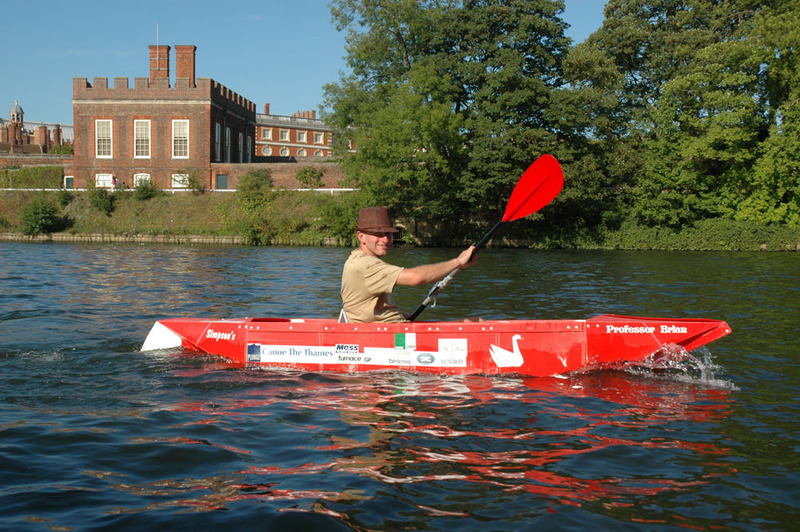 The trip began just to the West of Cricklade, North of Swindon and passed through Oxford, Abingdon, Reading, Henley, Maidenhead and Windsor before finally arriving in Teddington in West London 8 days later. 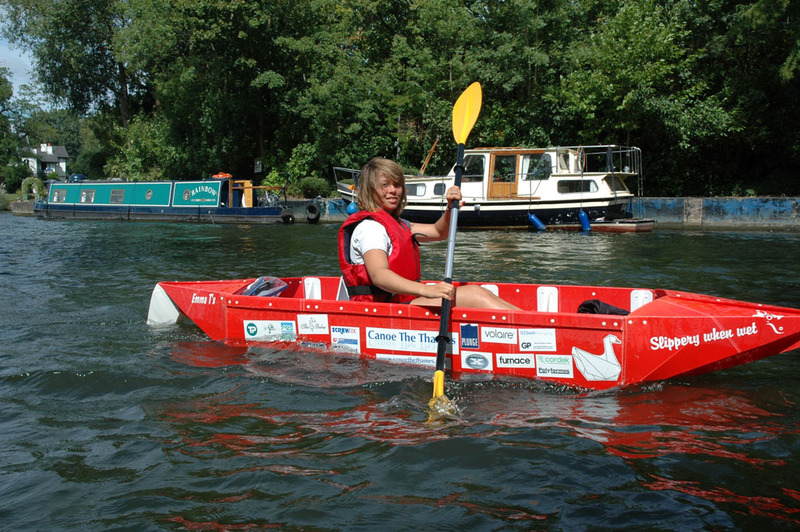 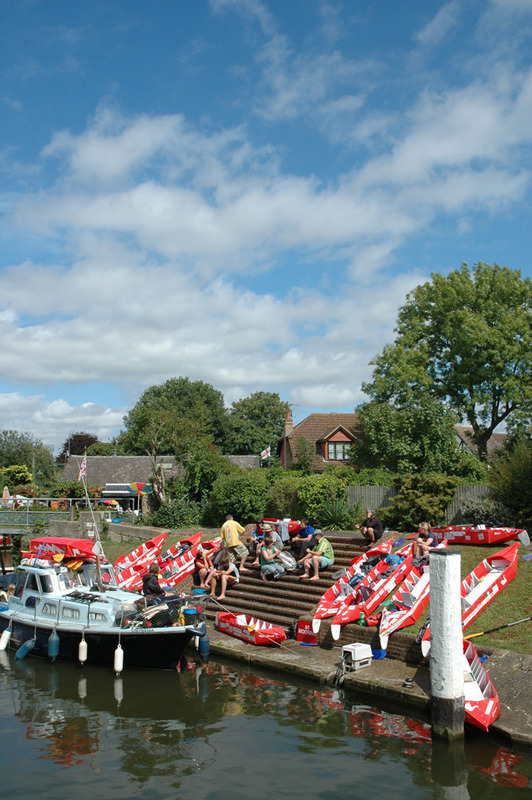 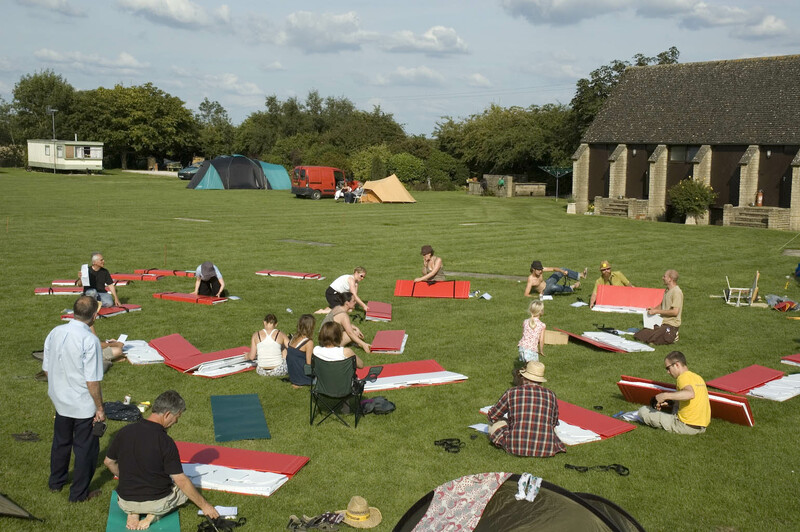 In 2009 18 people took part and raised almost £6000 for a wide range of charities. 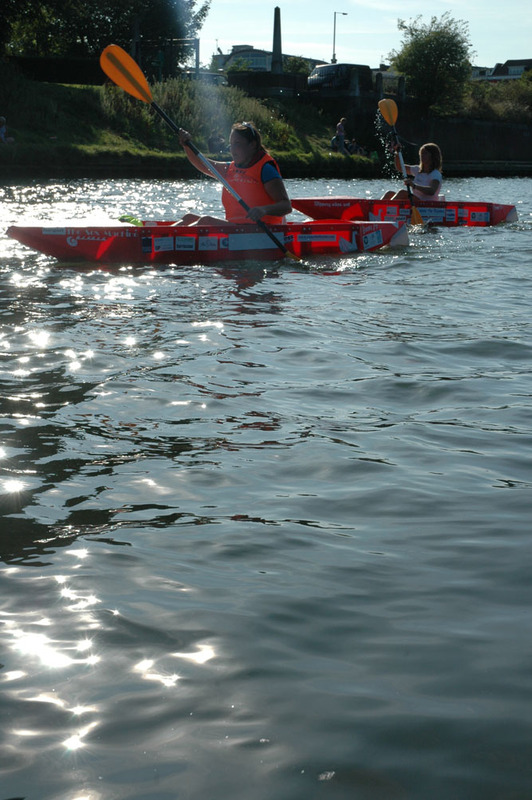 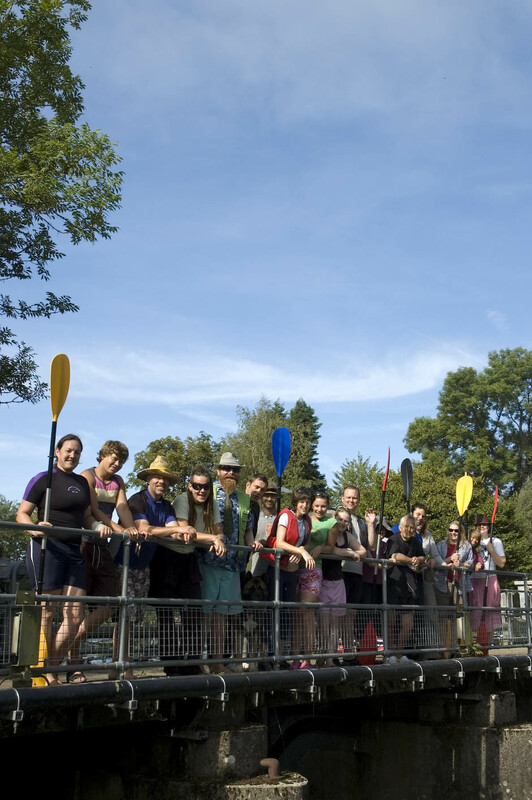 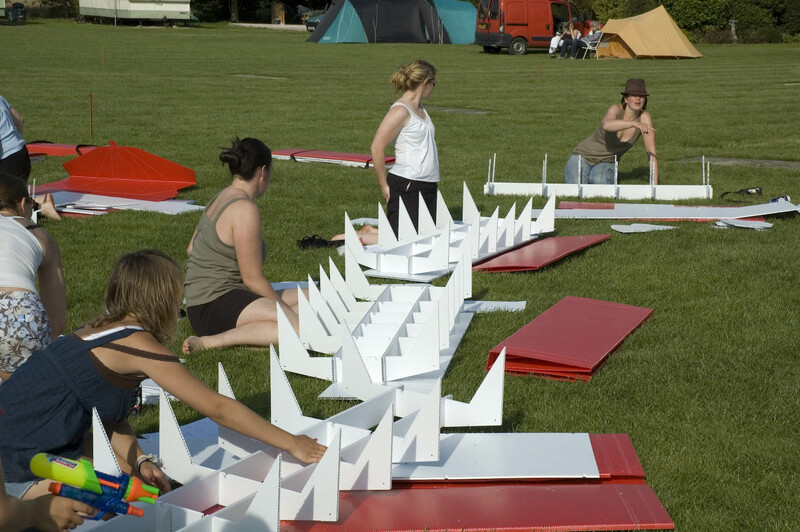 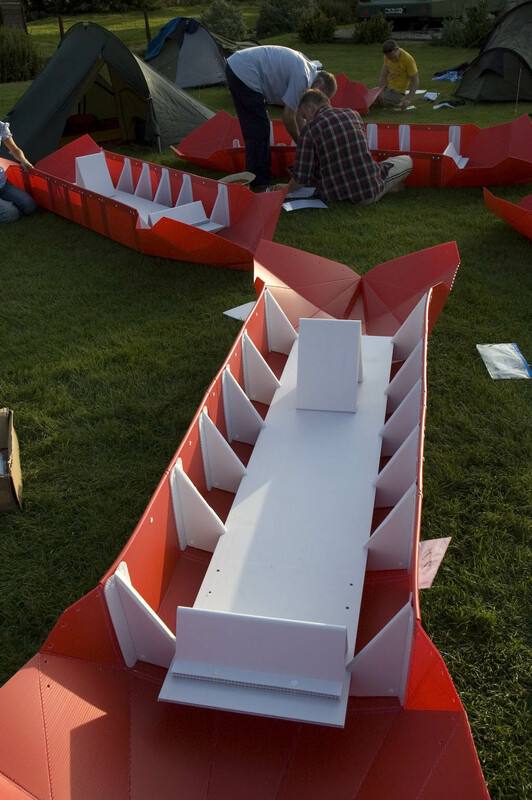 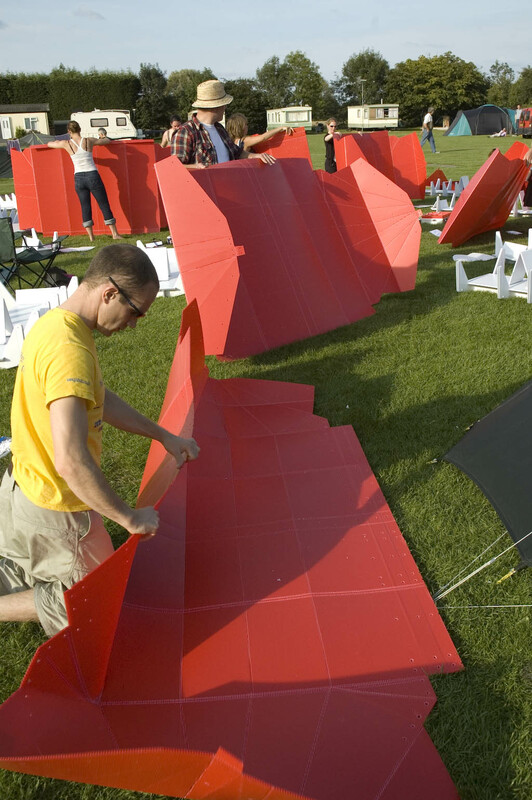 Each participant paddles in a handmade flat-packed origami canoe. 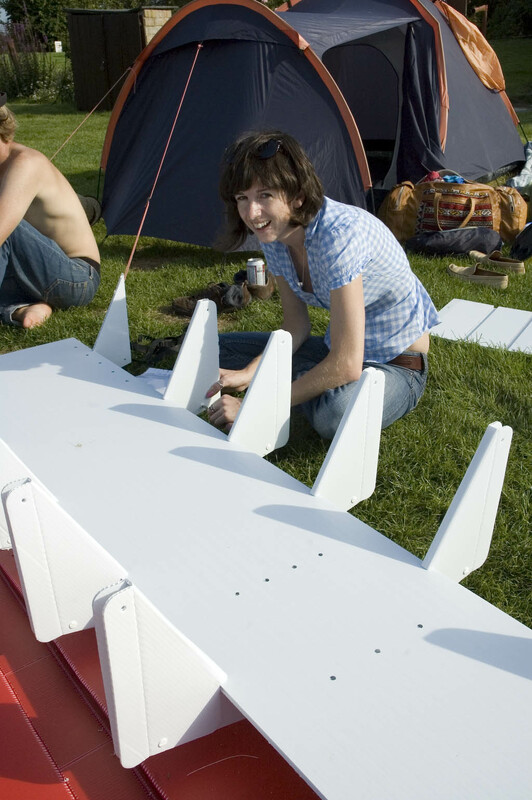 Designed and made by Plunge. 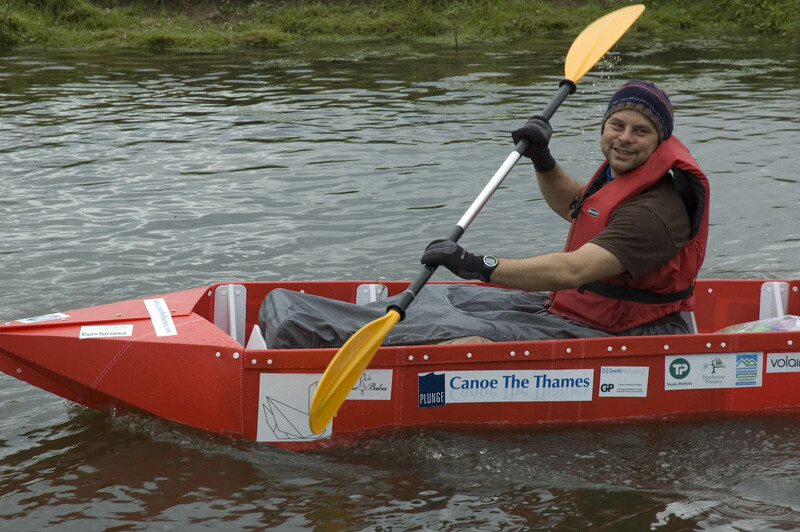 These entirely new canoes can be packed flat and stored in a cupboard whilst being comfortable and stable on the water when assembled. 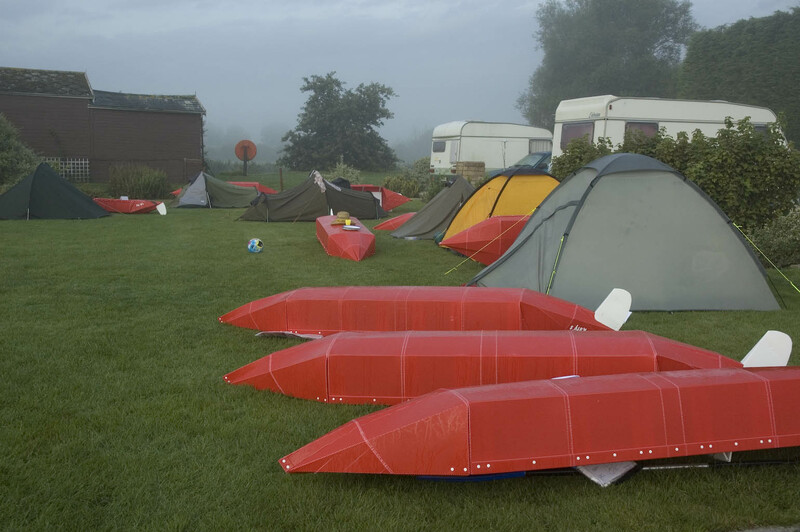 The canoe prototypes were initially designed in 2003 for a canoeing weekend in the Brecon Beacons in South Wales. 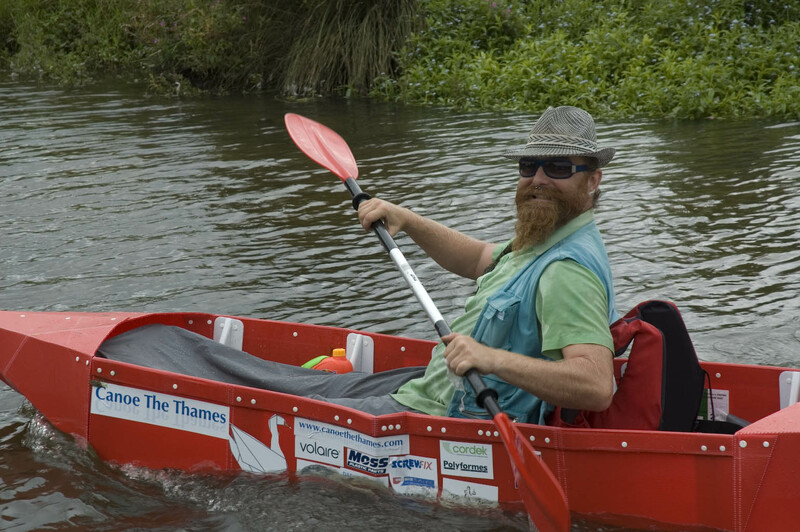 Since then they have been through various reincarnations and have even been seen on the backwaters of Kerela in Southern India. 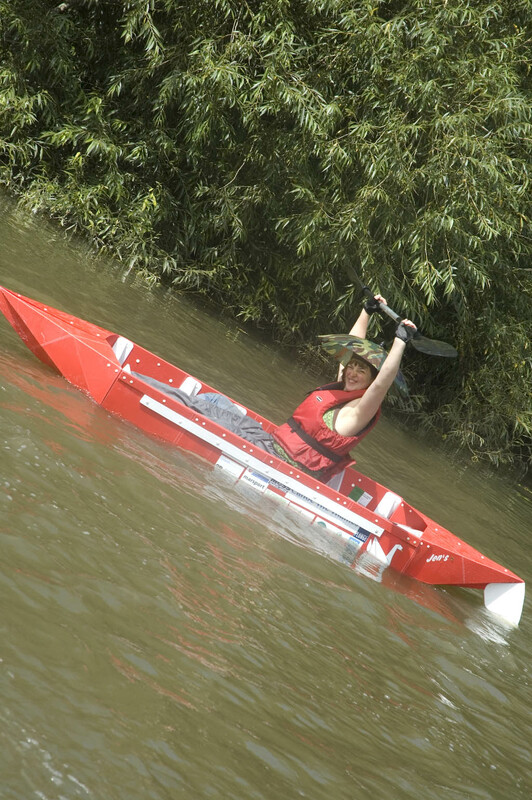 The 2009 prototype has now had the hardest river test yet and after a few modifications will be ready for production and sale. 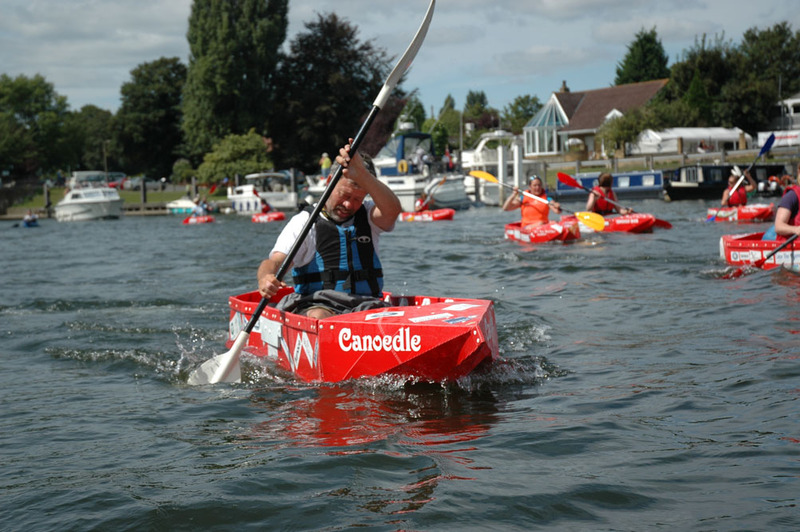 If you would like to be contacted when the canoes are available to buy then please drop us a line and we will be in touch soon.